NEW YORK, N.Y. -- Attorney General Barbara D. Underwood today announced the conviction and sentencing of Freevi Corp., d/b/a Sungame Corp. ("Sungame"), and former Sungame Chief Executive Officer Neil Chandran, 47, of Nevada. On April 27, 2018, both Sungame and Chandran pleaded guilty to Grand Larceny and Securities Fraud in connection with a scheme to steal millions from unwitting investors by soliciting investments in computer tablets that were supposedly able to display content in 3D ("Tablets"). Today, Sungame and Chandran were sentenced to pay $768,000 in restitution and to execute over $2,100,000 in judgments in favor of their New York State victims, and were permanently banned from engaging in the distribution, sale, or purchase of any securities or commodities within or from New York State. During the relevant time period, Sungame was a publicly-traded Las Vegas, Nevada-based technology firm trading under symbol "SGMZ." "The defendants in this case ran a massive securities fraud scheme, lining their own pockets by scamming New Yorkers out of millions. Today's sentencing should send a clear message: if you defraud New Yorkers, we will catch you and we will prosecute you," said Attorney General Underwood. According to the prosecution, beginning in or around January 2014 and continuing through February 2017, Chandran induced unsuspecting investors into agreeing to purchase Tablets at $1,000 per unit, with the promise that the full purchase price would be returned in the form of a no-risk rebate, typically within several weeks of purchase. In addition, Chandran further incentivized investors by offering them a so-called "education grant" consisting of 50% of the purchase price, as well as the opportunity to allow Sungame to buy back the Tablets in order to resell them and remit the profits to the investors. Accordingly, Chandran represented that every $1,000 Tablet purchase would entitle an investor to: (1) a full return of their investment principle; (2) an "education grant" equal to 50% of their investment; and (3) the option to either keep the Tablet or receive the profit once Sungame re-sold it to an end-user. However, the overwhelming majority of these investors received neither their return of investment capital nor their profit, as promised. Instead, their investment capital was used by Chandran for the undisclosed and improper purposes of repaying prior investors, paying Chandran's personal and corporate liabilities, artificially inflating Sungame's publicly-reported corporate earnings, and funding the manufacture of additional Tablets, so as to promote the investment to yet more unwitting investors. Chandran's scheme brought in hundreds of thousands of dollars from a single victim in 2014 alone, resulting in a Nassau County grand jury indicting Chandran on two counts of Grand Larceny in the Second Degree (a Class "C" Felony), one count of Securities Fraud under the Martin Act (a Class "E" Felony), one count of Forgery in the First Degree (a Class "C" Felony), and one count of Criminal Possession of a Forged Instrument in the First Degree (a Class "C" Felony). On February 21, 2017, Chandran was apprehended at the Los Angeles County Airport by U.S. Customs and Border Patrol personnel, after returning to the United States from Hong Kong. Subsequent to Chandran's arrest, the Attorney General's investigation uncovered dozens of additional victims throughout New York State who collectively lost millions of dollars due to Sungame and Chandran's actions. On April 27, 2018, Sungame and Chandran were charged via a felony complaint with an additional count of Securities Fraud under the Martin Act (a Class "E" Felony) for the larger scheme, including conduct occurring throughout New York State, including but not limited to Rockland, Queens, Kings, and Bronx Counties. On April 27, 2018, both Defendants pleaded guilty before Hon. Teresa K. Corrigan in Nassau County Supreme Court to the crimes of Grand Larceny and Securities Fraud. Specifically, on the Nassau County indictment, Sungame pleaded guilty to one count of Grand Larceny in the Second Degree (a Class "C" Felony), and Chandran pleaded guilty on one count of Grand Larceny in the Fourth Degree (a Class "E" Felony. In addition, on the Nassau County Superior Court information relating to the larger scheme, Sungame pleaded guilty to one count of felony Securities Fraud (a Class "E" Felony), and Chandran pleaded guilty to one count of misdemeanor Securities Fraud. Today, the Hon. Teresa K. Corrigan sentenced Sungame and Chandran to pay $768,000 in restitution to the victims of their crimes, and precluded both defendants from directly or indirectly soliciting, inducing, or promoting the distribution, sale or purchase of any securities or commodities within or from New York State. Additionally, both defendants executed over $2.1 million in civil judgments against themselves in favor of their investor victims. If Chandran fails to pay the court-ordered restitution or otherwise violates the terms of his plea agreement, he could be re-sentenced to incarceration of up to 1 1/3 to 4 years in prison. Attorney General Underwood thanks the Financial Industry Regulatory Authority's Criminal Prosecution Assistance Group, the Office of the Nevada Attorney General (including Criminal Investigator Todd Grosz), and the Los Angeles Police Department for their valuable assistance on this case. The case was prosecuted by Assistant Attorneys General Robert Miller and Gabriel Tapalaga of the Attorney General's Criminal Enforcement and Financial Crimes Bureau, with the assistance of former legal analysts Elizabeth Rodgers and Sloane Forbush. The Bureau is led by Bureau Chief Stephanie Swenton and Deputy Bureau Chief Joseph D'Arrigo. 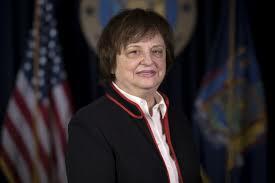 The Criminal Division is led by Executive Deputy Attorney General Margaret Garnett.